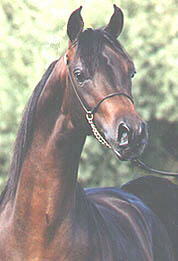 This fine 1995 colt is the holder of halter championships and will soon be embarking on his performance career. 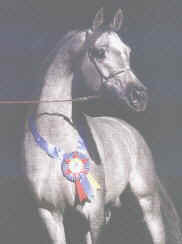 owned by Jennifer Parsons of Etaya Arabian Stud, located in Victoria Harbour, Ontario Canada. Sensational Bey is by Bey Shah out of TW Forteyna. The blend of the excitement of Bey Shah, coupled with the corrrectness and athletic ability of TW Forteyna, has enabled Sensational Bey to sire halter champions, that go on to be performance champions. 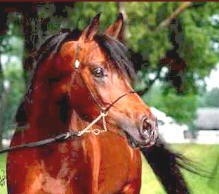 KS Beywatch is a 1998 U.S. National Top Ten Futurity Colt. 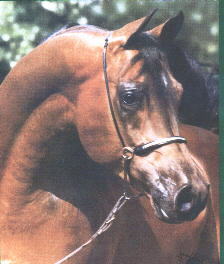 He is by Sensational Bey and out of KS Siroune and is a Breeders Sweepstakes Nominated Stallion. Beywatch is presently standing at Stachowski Farms where he is being prepared for performance in the English Division.